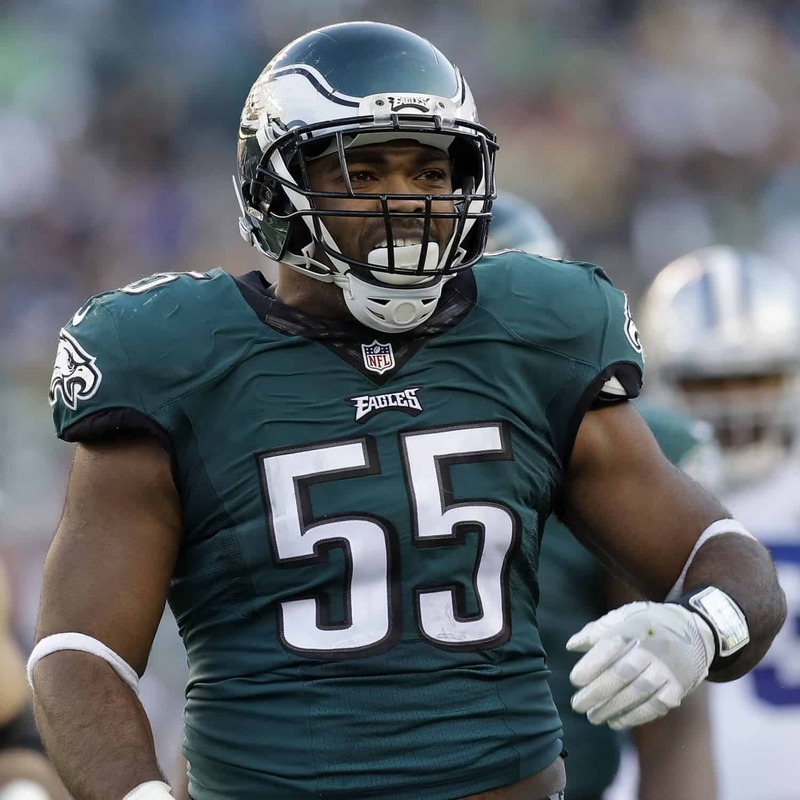 **Brandon Graham is a Fanatics Exclusive Athlete** Brandon Graham is an American football defensive end for the Philadelphia Eagles of the National Football League (NFL). He played college football at Michigan where he was the 2009 Big Ten Conference Co-MVP and MVP of the 2010 Senior Bowl. He was also a First-team 2009 All-Big Ten selection by the coaches and media and was named to several First-team and Second-team 2009 All-America lists by various publications. Graham was drafted by the Eagles in the first round of the 2010 NFL Draft with the thirteenth selection in the draft and the first from the Big Ten Conference. Graham was a second team 2016 All-Pro selection. He led the Super Bowl LII champion Philadelphia Eagles in quarterback sacks with 9.5 during the 2017 NFL season and was responsible for arguably the biggest play in Philadelphia sports history, as he posted a pivotal strip sack in the closing minutes of the Super Bowl victory. With 2:21 remaining in the fourth quarter of Super Bowl LII, he strip sacked Tom Brady, forcing a fumble recovered by teammate Derek Barnett. The Eagles won 41-33.